In the (v3.1.9) service release we introduced a new form template called: Wizard Template. 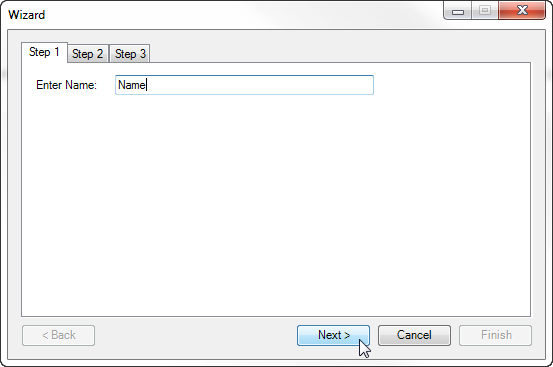 This template simulates an application wizard by utilizing a TabControl to represent the various pages of the wizard. The template also includes navigation buttons that enable and disable depending on the current position and if the controls validate. 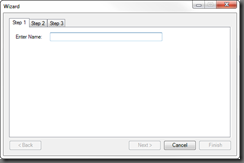 Each tab page has a sample input that must either be entered or checked in order to proceed. The Next button is disabled. 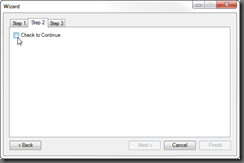 The Next button is enabled because the text box has passed validation. The template includes functions to handle navigation and provide a place to insert your custom validation script. 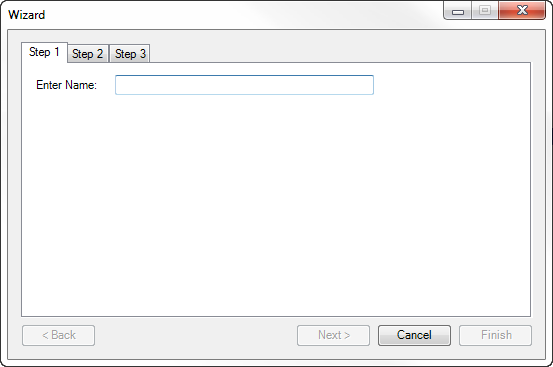 This validation script is called whenever the user tries to navigate to the next page in the wizard. This function is called whenever the Wizard needs to validate a TabPage. Place your custom validation code here. Return True if the page is valid otherwise False if validation fails. 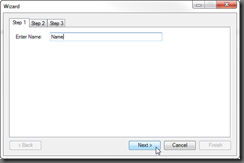 The Wizard calls this function when the user is navigating to another tab page. If the function returns a value of False it will prevent the user from proceeding. 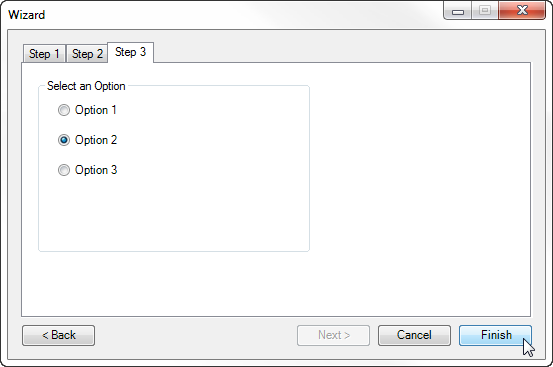 The result of this function also influences whether the Next and Finish buttons are enabled or disabled. Call this function when you wish to validate the current page and update the states of the navigation buttons. This function should be called when the state of a control changes and has influence on whether the user can continue or not. 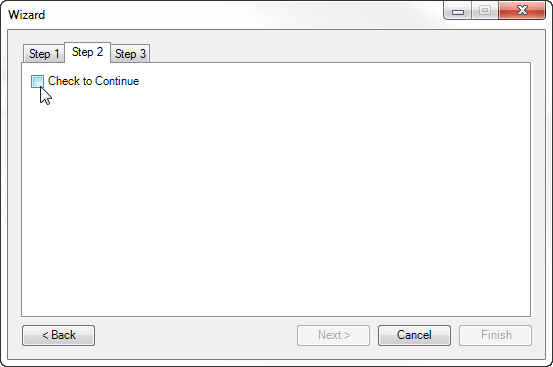 For example, in the “Step 1“ tab page, the Text Box must have text before proceeding; as a result, Update-NavButton is called whenever the TextBox’s text changes. In addition to validation, the Next, Back and Finish buttons are enabled or disabled depending on the current tab’s position. Once all the tabs have been validated, the user can press the Finish Button. Place your custom script in the Finish button’s Click event to handle any finalization. 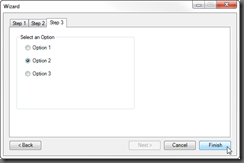 Note: The Finish button has its DialogResult property set to OK; therefore, it will close the form once the user clicks on the button. For more details on the TabControl, please refer to the Spotlight on the TabControl blog article. For more details on the Button control, please refer to the Spotlight on the Button Control blog article.